"Just you?" the host asks, directing you to the bar, where you'll join the other losers slouching over bowls of ramen with I'll-die-alone tears in their eyes. This is a typical scene at a crowded restaurant. 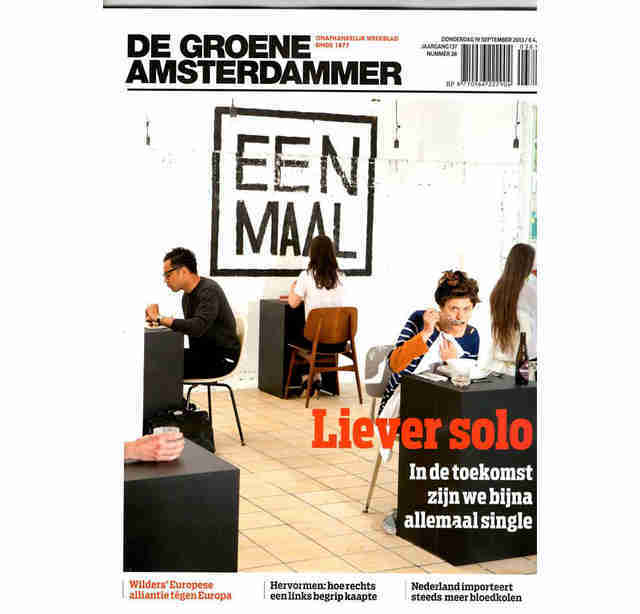 But not at Eenmaal, a pop-up eatery in Amsterdam that claims to be the world's first to cater exclusively to solo diners. Eating alone at Eenmaal isn't inglorious, but rather, the height of hip. With its sleek, sparse design, Eenmaal, which translates to "one-time" and "one meal" from the Dutch, only sits tables for one in the belief that eating alone is one of life's simple pleasures and a chance for "temporary disconnection". Founder and director Marina van Goor told Bloomberg Businessweek she started the restaurant because she "wanted to show that a moment of disconnection, by eating out alone, sitting alone, can be attractive, especially in our hyperconnected society". 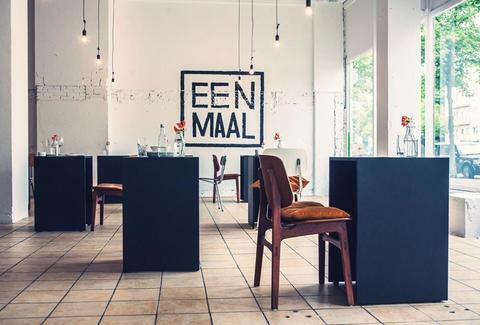 While Eenmaal offers only one seat per meal, portions are far from measly; for just under $50, patrons can enjoy a four-course dinner with drink. Beyond just the food, though, Eenmaal shuns Wi-Fi and encourages reading of books and magazines to further unplug. Creator van Goor launched the temporary restaurant in 2013 and has reopened for April and May, and single diners can book by emailing the restaurant. She's even looking to expand the one-person empire to the US, London, Berlin and Paris, putting an end to single-shaming everywhere. Existential to its core, Eenmaal's dining philosphy can be summed up in the words of Jean-Paul Sartre: "If you’re alone and feeling lonely, you’re in bad company." Chloe Pantazi is an editorial assistant on Thrillist's travel team. Follow her to dinner for one (or don't, because it will only diminish my experience) on Twitter at @ChloePantazi.